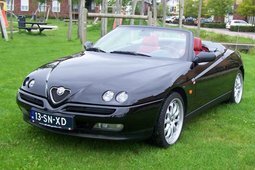 Colour red (Alfa Rosso) with a black leather / alcantara interior. 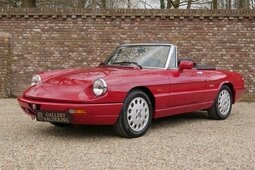 This gorgeous Alfa Romeo Spider was sold new in Germany. 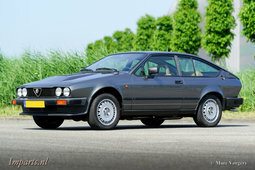 In the year 1999 the car was imported to the Netherlands. From new the car has known only two owners and 104,000 km. 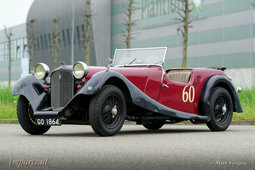 This Alfa Romeo is in superb original condition! The car looks and feels like new! 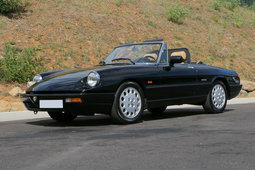 The Spider type 4 offers a sporty yet comfortable driving experience and the car features a very user-friendly soft-top which can be folded up or down in a matter of seconds. 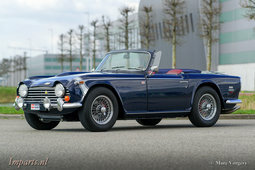 The 1962 cc four-cylinder twin-cam engine delivers 120 bhp which propel the Spider to a top-speed of 190 km/h. 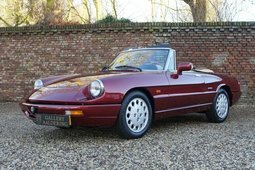 This Alfa Romeo Spider is a top-specimen!